Atopic eczema or dermatitis (AD) is associated with atopy and is characterized by reduced skin hydration and an impaired skin barrier in the epidermis. We investigated the patient acceptability and efficacy of an emollient containing ceramide-precursor lipids and moisturizing factors (LMF) in AD. Consecutive AD patients were recruited. Swabs and cultures were obtained from the right antecubital fossa and the worst-affected eczematous area, and disease severity [according to the SCORing Atopic Dermatitis (SCORAD) Index], skin hydration, and transepidermal water loss (TEWL) were measured prior to and after 2 weeks’ use of the LMF moisturizer. The general acceptability of treatment was documented as being ‘very good’, ‘good’, ‘fair’, or ‘poor’. Twenty-four AD patients [mean age 13.8 (standard deviation 5.7) years] were recruited. Two thirds of the patients reported very good or good acceptability of the LMF moisturizer, whereas one third reported fair or poor acceptability. There were no inter-group differences in the pre-use clinical parameters of age, objective SCORAD score, pruritus score, sleep disturbance score, skin hydration, TEWL, topical corticosteroid use, oral antihistamine use, or acceptability of previously used proprietary emollients. However, patients in the fair/poor acceptability group were more likely to have Staphylococcus aureus colonization and to be female (odds ratio 13, 95 % confidence interval 1.7–99.4; p = 0.021). Following use of the LMF moisturizer, the objective SCORAD score, pruritus score, and sleep disturbance score were lower in the very good/good acceptability group than in the fair/poor acceptability group. The mean objective SCORAD score improved (from 31.5 to 25.7; p = 0.039) and skin hydration improved [from 30.7 arbitrary units (a.u.) to 36.0 a.u. ; p = 0.021] in the very good/good acceptability group. When the data were analyzed for the strength of the agreement of the rating of acceptability, the κ values were 0.338 (fair) for use of body wash and 0.118 (poor) for use of emollients before and after the trial. The LMF moisturizer was considered acceptable by two thirds of the patients with AD. It seems that patients who found the moisturizer acceptable were less likely to be female or to be colonized by S. aureus before switching to the product, and they had less severe eczema, less pruritus, and less sleep disturbance after its use than patients who did not find the product acceptable. Gender and S. aureus colonization may have influenced the patient acceptability and clinical efficacy of the LMF moisturizer. The lack of agreement with regard to the acceptability of the moisturizer implies that there is room for parent/patient education to improve compliance. Atopic eczema or dermatitis (AD) is a chronically relapsing dermatosis associated with atopy and is characterized by reduced skin hydration, impaired skin integrity [transepidermal water loss (TEWL)], and poor quality of life as a result of deficient ceramides in the epidermis . Regular application of a moisturizer is the key to management of AD. Moisturizer therapy for AD is significantly complicated by the diversity of disease manifestations and by a variety of complex immune abnormalities . Filaggrin (filament-aggregating protein) has an important function in epidermal differentiation and barrier function, and null mutations within the filaggrin (FLG) gene are major risk factors for developing AD [2, 3, 4, 5, 6]. Recent advances in the understanding of the pathophysiological process of AD have led to the production of new moisturizers and topical skin products containing ceramides, pseudoceramides, or natural moisturizing factors targeted at correcting the reduced amount of ceramides and natural moisturizing factors in the stratum corneum . However, many proprietary products that claim to contain these ingredients have no or only limited studies to document their clinical efficacy. Furthermore, independently of the ingredients, patient preference and acceptability may influence the outcomes of topical treatment . The purposes of this study were to investigate the patient acceptability of a product containing ceramide-precursor lipids and moisturizing factors (LMF), and to evaluate its efficacy in improving the clinical and biophysiological properties of the skin of AD patients. Patients with AD were recruited from the pediatric dermatology clinic at a teaching hospital. AD was diagnosed according to the UK Working Party’s criteria . Skin hydration, TEWL on the right forearm (2 cm below the antecubital flexure), and disease severity [according to the SCORing Atopic Dermatitis (SCORAD) Index] were measured. We have previously described our method of standardizing measurements of skin hydration and TEWL . After acclimatization in the consulting room with the patient sitting comfortably in a chair for 20 to 30 minutes, skin hydration [in arbitrary units (a.u.)] and TEWL (in g/m2/h) were measured with a Mobile Skin Center® MSC 100 equipped with a Corneometer® CM 825 and a Tewameter® TM 210 probe (Courage & Khazaka Electronic GmbH, Cologne, Germany), according to the manufacturer’s instructions. We documented that a site 2 cm distal to the right antecubital flexure was optimal for standardization. Oozing and infected areas were avoided by moving the probe slightly sideways . The clinical severity of AD was assessed with the SCORAD Index [11, 12]. Patients were given a liberal supply of the LMF moisturizer (Cetaphil® RESTORADERM™ Lotion; Galderma Canada Inc., Thornhill, ON, Canada) and moisturizing wash (Cetaphil® RESTORADERM™ Wash; Galderma Canada Inc.). The moisturizer claims to contain purified water, glycerin, caprylic/capric triglyceride, Helianthus annuus (sunflower) seed oil, pentylene glycol, Butyrospermum parkii (shea butter), sorbitol, cyclopentasiloxane, cetearyl alcohol, behenyl alcohol, glyceryl stearate, tocopheryl acetate, hydroxypalmitoyl sphinganine (0.01 % w/w), cetyl alcohol, arginine (0.50 % w/w), disodium ethylene dicocamide polyethylene glycol (PEG)-15 disulfate, glyceryl stearate citrate, niacinamide, sodium pyrrolidone carboxylate (PCA) [0.50 % w/w], ceteareth-20, sodium polyacrylate, caprylyl glycol, allantoin, citric acid, panthenol, dimethiconol, disodium ethylenediaminetetraacetic acid (EDTA), and sodium hyaluronate. Hydroxypalmitoyl sphinganine is a ceramide precursor. Arginine and sodium PCA are natural moisturizing factors. Arginine acts as a substrate not only for arginase but also for nitric oxide synthase. The moisturizing wash contains purified water, B. parkii, sodium trideceth sulfate, glycerin, H. annuus seed oil, sodium chloride, sodium lauramphoacetate, cocamide monoethanolamine (MEA), citric acid, niacinamide, sodium PCA (0.50 % w/w), tocopheryl acetate, 1,2-hexanediol and caprylyl glycol, disodium EDTA, guar hydroxypropyltrimonium chloride, allantoin, potassium sorbate, arginine (0.10 % w/w), and methylisothiazolinone. The patients were instructed not to use any other topical treatment except for their usual corticosteroid on an as-necessary basis. They were encouraged to use the LMF moisturizer at least twice daily on the flexures and areas with eczema. In the event that the emollient effect was not satisfactory, they could use their usual emollient and medications, but the frequency of such use was to be reported, and they must continue using the LMF moisturizer. The patients were reviewed at the end of 2 weeks. Measurements of the SCORAD score, Children’s Dermatology Life Quality Index (CDLQI), skin hydration, and TEWL were repeated. The patient’s global or general acceptability of treatment (GAT) was recorded as ‘very good’, ‘good’, ‘fair’, or ‘poor’ [8, 13]. Ethical approval for the study was obtained from the Clinical Research Ethics Committee of the Chinese University of Hong Kong, and written informed consent was obtained from each patient and his/her guardian. Continuous data are expressed as means and standard deviations (SDs). The Mann-Whitney U test for inter-group comparisons and the McNemar test for within-group comparisons with small numbers of subjects were used. Categorical data are presented as counts. The χ2 test or Fisher’s exact test, where appropriate, were used to compare categorical data. κ values were determined for the previously used proprietary products and for the LMF moisturizer and moisturizing wash. All comparisons were two-tailed, and p values of ≤0.05 were considered statistically significant. Between December 2011 and June 2012, 24 patients [63 % male; mean age 13.8 (SD 5.7) years] with AD were recruited and treated with applications of the LMF moisturizer and moisturizing wash. Compliance was good, and patients generally managed to use the moisturizer daily. Two thirds reported very good or good acceptability of the LMF moisturizer, whereas one third reported fair or poor acceptability (Tables 1, 2; the male percentages were 81 % and 25 %, respectively; p = 0.021). There were no inter-group differences in pre-use clinical parameters of age, the objective SCORAD score, pruritus score, sleep disturbance score, skin hydration, TEWL, topical corticosteroid use, oral antihistamine use, or acceptability of the previously used proprietary emollients. However, patients in the fair/poor acceptability group were more likely to have Staphylococcus aureus colonization and to be female (odds ratio 13, 95 % confidence interval 1.7–99.4; p = 0.021). Following use of the LMF moisturizer, the objective SCORAD score, pruritus score, and sleep disturbance scores were lower in the very good/good acceptability group than in the fair/poor acceptability group. The mean objective SCORAD score improved (from 31.5 g/m2/h to 25.7 g/m2/h; p = 0.039) and skin hydration improved (from 30.7 a.u. to 36.0 a.u. ; p = 0.021) in the very good/good acceptability group. When the data were analyzed for the strength of the agreement of the rating of acceptability, the κ values were 0.338 (fair) for use of body wash and 0.118 (poor) for use of emollients before and after the trial. Neither result reached statistical significance, implying that there appeared to be no consistency in agreement (or preference). Patients who preferred the LMF moisturizer or moisturizing wash may or may not have come from the group of poor/fair acceptability of their previous emollient or body wash. Previously used products included emulsifying ointment, QV™, Johnson and Johnson, Sebamed®, and various other proprietary products. AD is a chronically relapsing dermatosis characterized by pruritus, erythema, vesiculation, papulation, exudation, excoriation, crusting, scaling, and sometimes lichenification [1, 14]. Secondary bacterial infection, most commonly with S. aureus, is the main complication [1, 15, 16]. In the brick-and-mortar hypothesis, the stratum corneum (the outermost layer of the epidermis) normally consists of fully differentiated corneocytes surrounded by a lipid-rich matrix containing cholesterol, free fatty acids, and ceramides. In AD, lipid metabolism is abnormal, causing a deficiency of ceramides and natural moisturizing factors, and impairment of epidermal barrier function, which leads to increased TEWL [1, 7, 17, 18]. It has been shown that loss-of-function mutations in the FLG gene predispose to AD [2, 3, 4, 5, 6, 19, 20]. The protein is present in the granular layers of the epidermis. The keratohyalin granules in the granular layers are predominantly composed of profilaggrin . Filaggrin aggregates the keratin cytoskeleton system to form a dense protein-lipid matrix, which is cross-linked by transglutaminases to form a cornified cell envelope [4, 21]. The latter prevents epidermal water loss and impedes the entry of allergens, infectious agents, and chemicals [4, 22]. The key to management of AD and dry skin conditions, especially in between episodes of flare ups, is frequent use of an appropriate moisturizer . Hydration of the skin helps to improve dryness, reduce pruritus, and restore the disturbed skin’s barrier function. Bathing without use of a moisturizer may compromise skin hydration [23, 24, 25]. Hence, use of emollients is of paramount importance in both prevention and management of AD [1, 20]. Many proprietary emollients claim to replace ceramide ingredients, but few have been tested. This pilot study explored patient acceptability of a moisturizer containing lipids and natural moisturizing factors, and evaluated its efficacy in AD. We showed that the LMF moisturizer was considered acceptable by two thirds of the patients with AD. It seems that patients who found the moisturizer acceptable were less likely to be female or to be colonized by S. aureus before switching to the LMF moisturizer, and they had less severe eczema, less pruritus, and less sleep disturbance following its use than patients who did not find the product acceptable. Gender and S. aureus colonization may have influenced the patient acceptability and clinical efficacy of the LMF moisturizer. In the wider context, AD is a complex multifactorial atopic disease, and monotherapy targeted merely at replacement of ceramides, pseudoceramides, or filaggrin degradation products at the epidermis is often suboptimal. In particular, colonization with S. aureus must be adequately treated before emollient treatment can be optimized . Despite claims about their efficacy, little evidence has demonstrated short- or long-term usefulness of many proprietary products. Some ceramides and pseudoceramides have been studied and added to commercial moisturizers to mimic natural skin-moisturizing factors, and to influence both TEWL and expression of antimicrobial peptides in patients with AD . Chamlin et al. assessed the efficacy of a ceramide-dominant, physiological lipid-based emollient, when substituted for currently used moisturizers, in 24 children who were also receiving standard therapy for ‘stubborn-to-recalcitrant’ AD. All subjects continued their previous therapy (e.g., topical tacrolimus or corticosteroids), only substituting the barrier-repair emollient for their previous moisturizer. Follow-up SCORAD scores improved significantly in 22 of 24 patients by 3 weeks, with further progressive improvement in all patients between 6 and 20 or 21 weeks. TEWL, which was elevated over the involved and uninvolved areas at study entry, decreased in parallel with SCORAD scores and continued to decline even after the SCORAD scores plateaued. Stratum corneum integrity and hydration also improved significantly during therapy. The ultrastructure of the stratum corneum following treatment with the ceramide-dominant emollient revealed extracellular lamellar membranes, which were largely absent in baseline stratum corneum samples. The authors concluded that a ceramide-dominant barrier-repair emollient represents a safe and useful adjunct to the treatment of childhood AD. EpiCeram® consists of a specific combination of ceramides, cholesterol, and fatty acids (in the ratio of 3:1:1), which mimic those naturally found in the skin [27, 28]. Recent studies have shown that EpiCeram® has efficacy similar to that of a mid-potency topical corticosteroid but has a more favorable safety profile [27, 28]. However, those studies did not report objective measurements to demonstrate the efficacy of treatment. Hon et al. studied skin hydration and TEWL on the forearm and determined the SCORAD score, Nottingham Eczema Severity Score (NESS), CDLQI, and amounts of emollient and cleanser used over a 2-week period in consecutive new patients seen at the pediatric skin clinic. Patients with AD had significantly greater TEWL and less skin hydration at the studied sites. Although both skin dryness and skin hydration were improved, there was no significant improvement in the SCORAD score or TEWL after 2 weeks. In terms of GAT, three quarters of patients with AD and controls rated the combination of the cream and cleanser as good or very good. The authors concluded that liberal use of emollients and bathing cleanser alone does not seem to alter disease severity or TEWL within 2 weeks, implying that additional treatments are necessary to manage AD . In another study, Hon et al. recruited 33 patients with AD to study the clinical and biophysiological effects of twice-daily application of a pseudoceramide-containing cream. Four weeks after the patients started using the pseudoceramide cream, their skin hydration had improved significantly. There was no deterioration in TEWL, eczema severity, or quality of life in these patients. The pseudoceramide cream improved skin hydration but not eczema severity or quality of life over 4 weeks of use [13, 30]. A number of topical preparations are available on the market. The actual ingredients of most of these products are a commercial secret of the individual pharmaceutical companies. However, the active ingredients are identified on the packaging. The type of moisturizer or emollient should be tailored to the individual skin condition as well as the child’s needs and preferences [31, 32]. In terms of GAT, the current study showed that only two thirds of the AD patients considered the acceptability of the product to be very good or good, and one third considered its acceptability to be fair or poor. It seems that patients who found the LMF moisturizer acceptable were less likely to be female, to be colonized by S. aureus, and to have been using an antihistamine before switching to the moisturizer, and they had less severe eczema and less sleep disturbance following its use than patients who did not find the product acceptable. Gender and S. aureus colonization may have influenced the patient acceptability and clinical efficacy of the trial moisturizer. The low acceptability of these products reflects the fact that there is no user consistency in the preference, acceptability, and choice of emollients. The major hindrance to the efficacy of a moisturizer is the patient’s perception as to what an ideal moisturizer should be like . This perception varies from person to person. Therefore, the physician caring for a patient with AD must educate and guide the parents and the patient to choose the most acceptable formulation to ensure optimal compliance. Ultimately, an ‘ideal’ emollient is an individualized choice that the patient will accept and use. This pilot study provides insights for further research into ceramide-containing emollients. 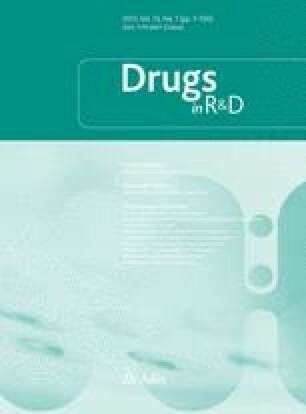 First, patient acceptance of the strengths, types, and formulations of ceramides and related products needs to be studied in randomized controlled trials of any novel products. Second, efficacy studies holistically focusing on all clinical parameters (namely severity scores, quality-of-life indices, skin hydration, TEWL, S. aureus colonization, and patient acceptability) must be performed. Third, as AD is not a simple epidermal skin disease but, rather, is a complex atopic disease, use of an emollient alone is bound to be suboptimal in efficacy. In the current study, it was evident that S. aureus colonization was prevalent especially in patients with moderate-to-severe disease, thus future randomized controlled trials should include a run-in period to eradicate such colonization in order to evaluate the net effects due to the emollient. The incorporation of ingredients containing ceramides, pseudoceramides, and natural moisturizing factors into therapeutic moisturizers targets the pathophysiology of AD. Well designed, large-scale, randomized, placebo-controlled trials are needed to document therapeutic effects on disease severity, dermatological biophysical parameters, quality of life, and patient acceptability. Patient acceptability of a certain product is pivotal to compliance and clinical outcome. The authors thank Galderma Hong Kong Limited for freely supplying the studied materials. However, the company was not involved in any financial sponsorship, design, or analysis of the research data in this project. Furthermore, no sources of funding were used to conduct the study or to prepare this manuscript. Drs. Hon and Leung have performed research on eczema therapeutics, and have written about the subject matters of filaggrin and ceramides. Vivian Lee has received an educational grant from AstraZeneca and has had contracts for research with Roche. The authors have no other conflicts of interest that are directly relevant to the content of this article.